When your hoisting and lifting equipment needs maintenance or repair, you can count on the expertise of the service technicians at Laco. Periodical inspection, certification and maintenance guarantee your tools are working safely and can significantly extend their lifespan. Our service technicians are able to repair and maintain all types of winches and hoists, including manual and electrical hoists and hydraulic and pneumatic winches. 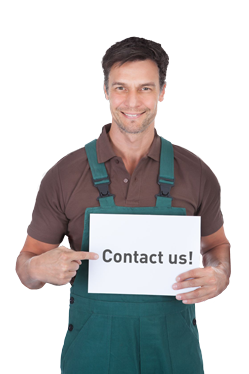 The repair or maintenance work can be carried out on-site or in our own, well-equipped maintenance center. Everything we do will be coordinated with you in advance in order to prevent unpleasant surprises. We carry out maintenance work on different types of winches and hoists, including electric and hydraulic winches that can move large loads in horizontal or vertical direction. Besides that, we also maintain pneumatic winches, which are widely used in on- and offshore and the oil and gas industry. This specific type of winch is often used in high-risk environments, because it does not cause sparks. Additionally, we are specialized in the maintenance of the air hoists that are often used for oil and gas extraction. The latter type is very similar to the air winch, but uses a chain with toothing instead of a cable. 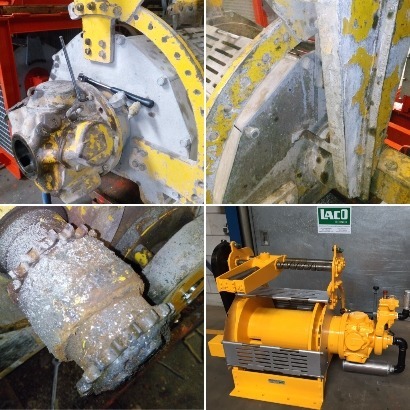 At Laco, we mainly sell and rent out the winches and hoists from Ingersoll Rand, but we also carry out maintenance work on hoists and winches from other brands. The use of hoisting and lifting equipment is subject to strict government rules and regulations. This means you are obliged to periodically inspect your lifting equipment. Our experts can assess your tools and can provide you with the certifications you need to operate. Their work includes visual inspection and on-site testing. When your equipment is approved, you can be confident your employees can work safely and your tools meet the requirements set by the law.